A big show of police force in major cities follows Internet calls for a Chinese Jasmine Revolution. One of the questions that has often been discussed following the unrest in Egypt, Tunisia, Yemen, Bahrain and now Libya has been whether China could be next. Certainly, Chinese authorities were concerned enough about the implications of the protests in the Arab world to try to suppress online discussion of the events in Cairo, with many Internet users in China reporting search results for certain key words returning zero results. And while authorities show no sign as yet of getting as heavy handed as they have in Libya (the death toll has already topped 100 there, with reports of protesters having machine gun fire turned on them), China is still starting to crack down further to stamp out potential dissent. 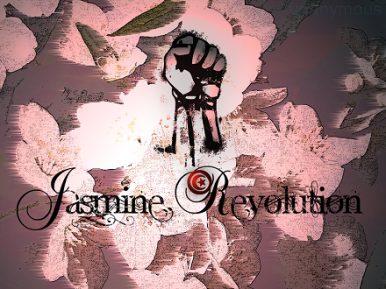 I’ve been hearing a number of reports from Beijing today about the heavy police presence there after Internet posts, apparently largely from Chinese overseas, appeared urging citizens to launch their own Jasmine revolution. According to the report, the campaign originated with the Chinese-language, US-based advocacy site Boxun.com, and I’ve been sent a link from the site that includes some images taken today (ignore the date at the top of the page – the pictures are from today, not yesterday). Anyone interested in taking a look at the site (in Chinese) can take a look here. I’ll keep you posted if I hear any more. In the meantime, on a related note, I highly recommend an opinion piece we have in our China special, entitled ‘George Orwell’s China?’ It’s a powerful look by a professor based in China at some of the reasons for the current discontent. How Jasmine Looks to ChineseChina and Radical ThoughtsChina Sweeping Jasmine Away?China's Failure in TibetCan China Live Up to Chen?